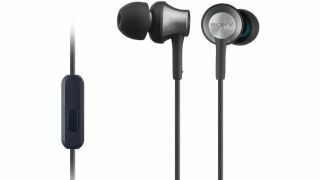 Save on Award-winning Sony MDR-EX650AP in-ears at Amazon today only | What Hi-Fi? Black Friday and Cyber Monday may be long gone, but Amazon is still drip-feeding the last of its sales deals throughout this week - and we’ve spotted a corker. Available now until midnight, the 2014-Award-winning Sony MDR-EX650AP in-ear headphones are now just £32.99, down from £47 - a 29% saving. This is currently the cheapest price we have seen online. Not only are they Christmas stocking-friendly in size and price, they’re great all-rounders when it comes to performance and design thanks to a solid, weight and expansive sound and comfortable fit. They were our favourite headphones of 2014, and while they’ve since been leapfrogged by a handful of in-ear headphones, they remain great options - especially at this price. Want more up-to-date budget buds? Our list of the best budget in-ear headphones 2018 will point you in the right direction. You can get free delivery on the Sony buds... and on any item listed as "dispatched” or “fulfilled” on Amazon, actually. The retail giant is running a free delivery promotion for everyone (not just Prime customers!) until Wednesday.